Have you seen my Spiky Waves Throw? It’s a pattern from my latest crochet book and has to be one of the most satisfying projects I’ve made in a while. 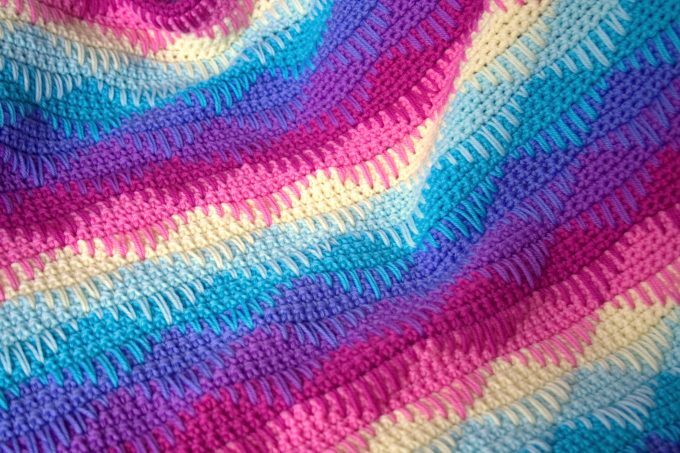 Its a very therapeutic design to crochet and creates a gorgeous blanket that you just want to snuggle under for ages. My original colour palette was a little different and had eight colours instead of seven. The yarn is Cascade 220 Superwash which comes in so many colours its a nightmare deciding which to use! I changed the coral to a strawberry pink and ditched the oatmeal colour completely. 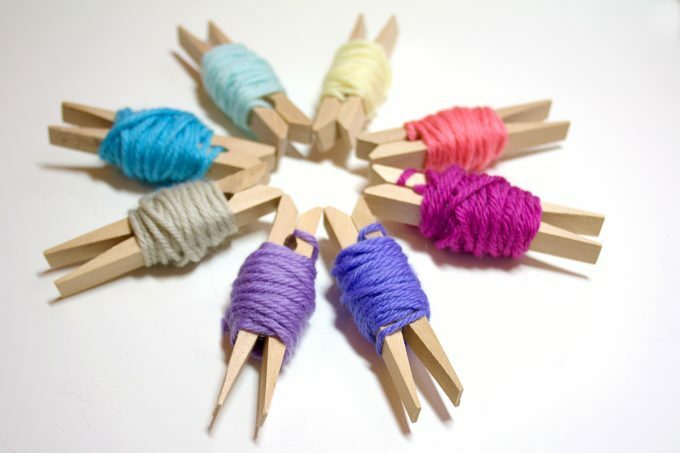 I would still love to make this blanket using these colours – its on the Very Long To-Do List! Once I’d settled on my palette I did a little test swatch. 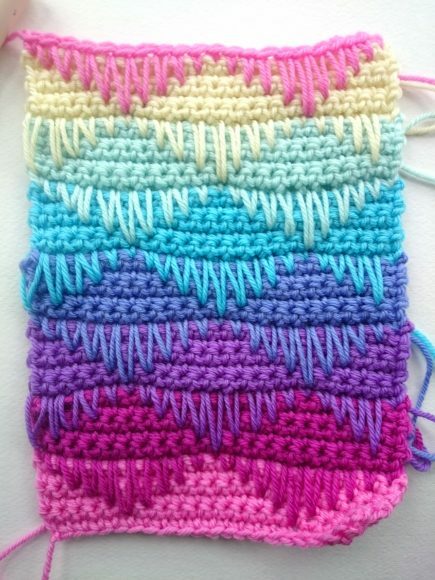 Making a little test swatch is great for double checking your colours look good together. 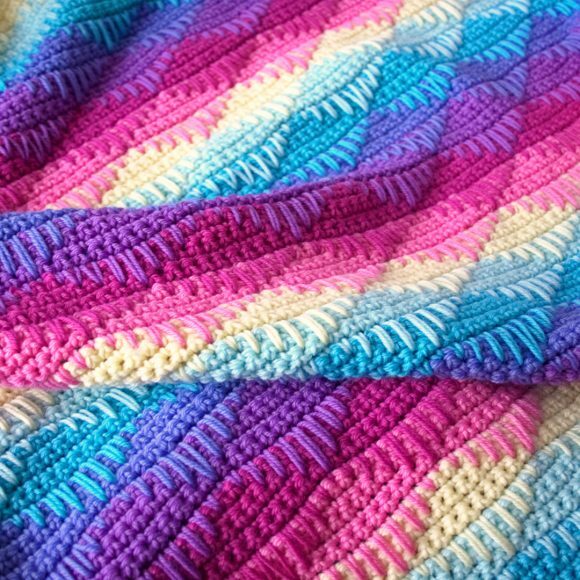 So, if you plan on making this blanket in your own colours just chain 21 stitches and work rows 2 – 13 until you’ve used all the colours in your palette. I’ve used 7 colours for my blanket but you could use more or less. I think it would look lovely worked in just two or three colours. How many colours would you use? You work spike stitches are on every 6th row and the other five rows are simple single crochet (US) / double crochet (UK). The pattern is easy to remember which is always a joy! Where can I get the pattern Spiky Waves Throw? You can get your hands on a copy of the Spiky Waves Throw pattern from Crochet Now magazine issue number 14 and from the latest issue of Inside Crochet magazine issue number 92. You can also find the pattern in my latest book. Remember that in the UK its called “Beautiful Blanket, Afghans and Throws” and in America its called “40 Colorful Afghans to Crochet – just to confuse us all! The pattern is on pages 96 – 99 and includes both written instructions and a crochet chart. 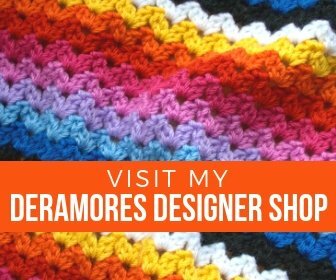 Check out the pattern on Ravelry and make sure you add your projects! I REALLY love to see what you make so if you use Instagram for sharing your crochet photos use the hashtag #spikywavesthrow and don’t forget to tag me in your text, @woolnhook , so I can see!